Hey everyone! 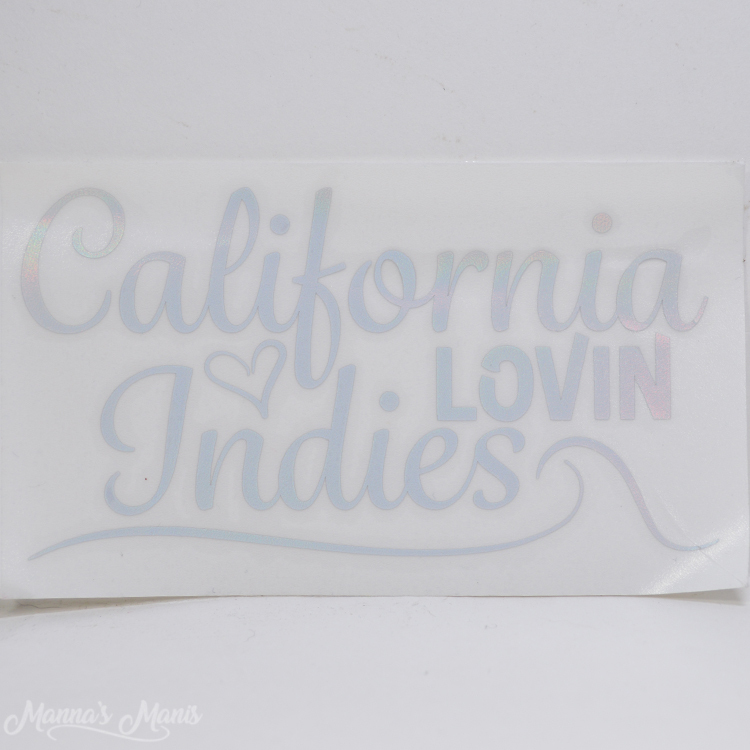 The second edition of California Lovin' Indies is now available. 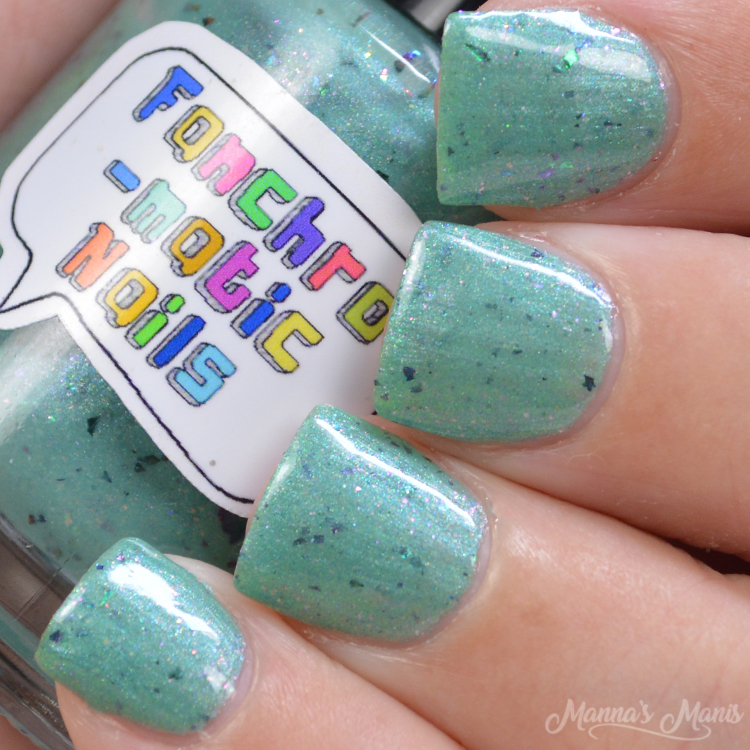 This month the special guest is Fanchromatic Nails and is inspired by the Winchester Mystery House in San Jose California. 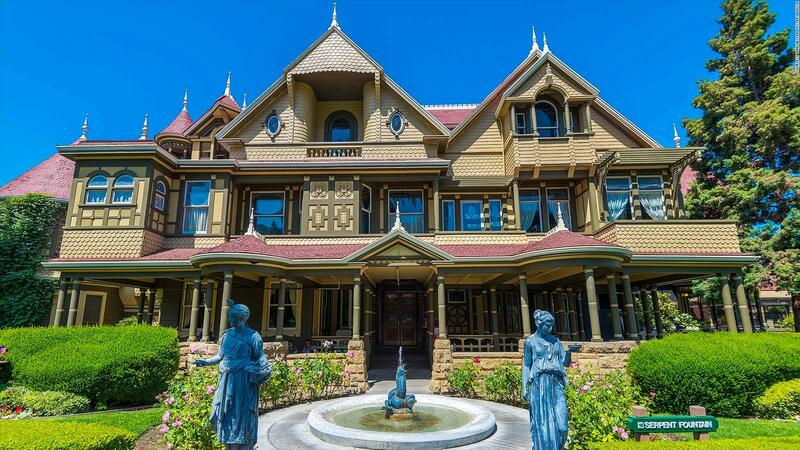 The Winchester House is a mansion once owned by Sarah Winchester. Built in 1884, the Victorian style mansion features lots of architectural oddities like stairs that lead up to the ceiling, doors that lead to nowhere, and secret corridors. Given it's history, it's said to be haunted. I've watched several shows on TV about the mansion, and there's even a movie that came out this year based on the house! 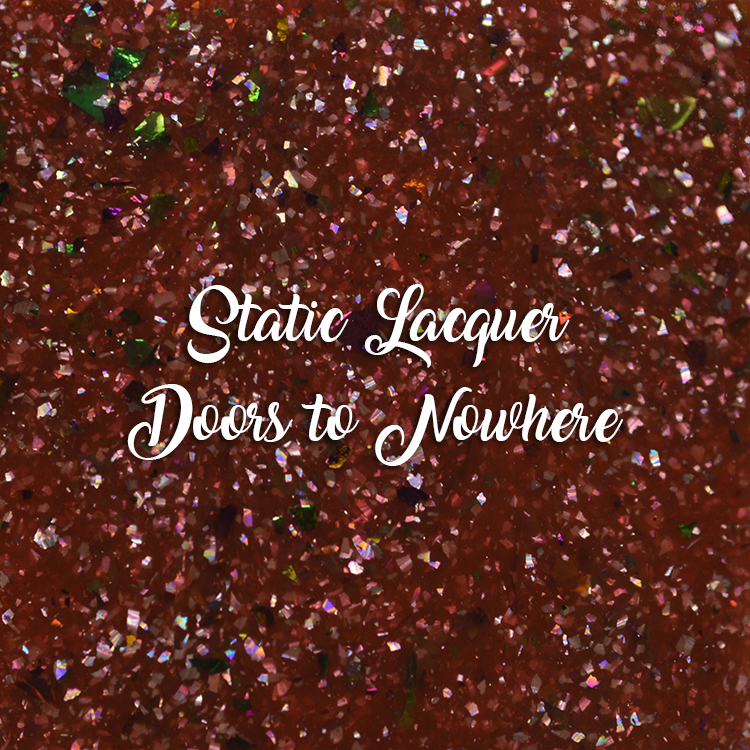 Doors to Nowhere is described as a reddish brown jelly polish with holo flakes and UCC flakes to represent the beautiful stained glass windows in the mansion. 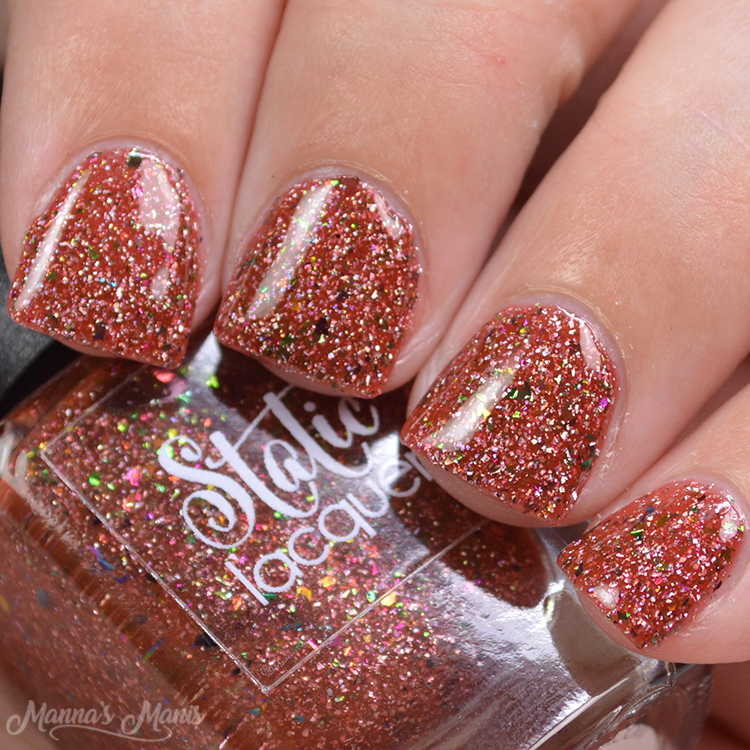 Formula and application were perfect, and I did 3 coats to reach full opacity and to get as many UCC flakes as possible! 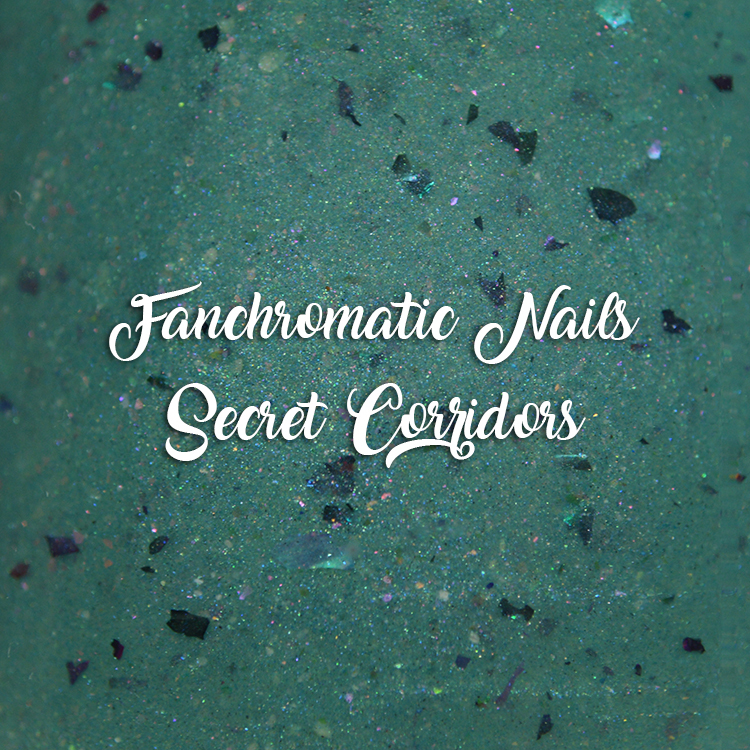 Secret Corridors is described as a minty teal that flashes red/gold/or blue in different lights. 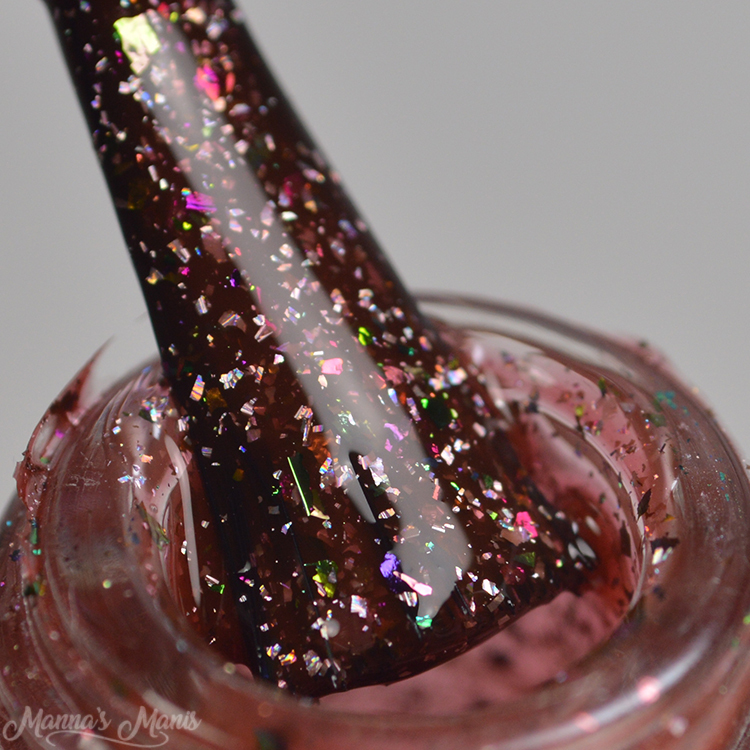 It's filled with iridescent flakies, and metallic flakies that shift purple or green, to represent the effect of antique stained glass windows. 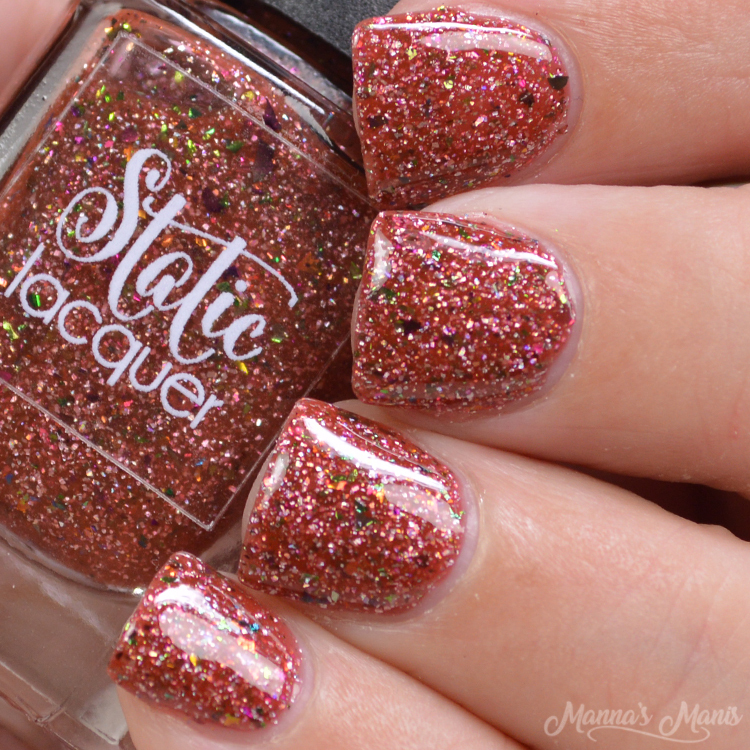 Formula is good, but application was slightly streaky for me, so don't overwork the polish. 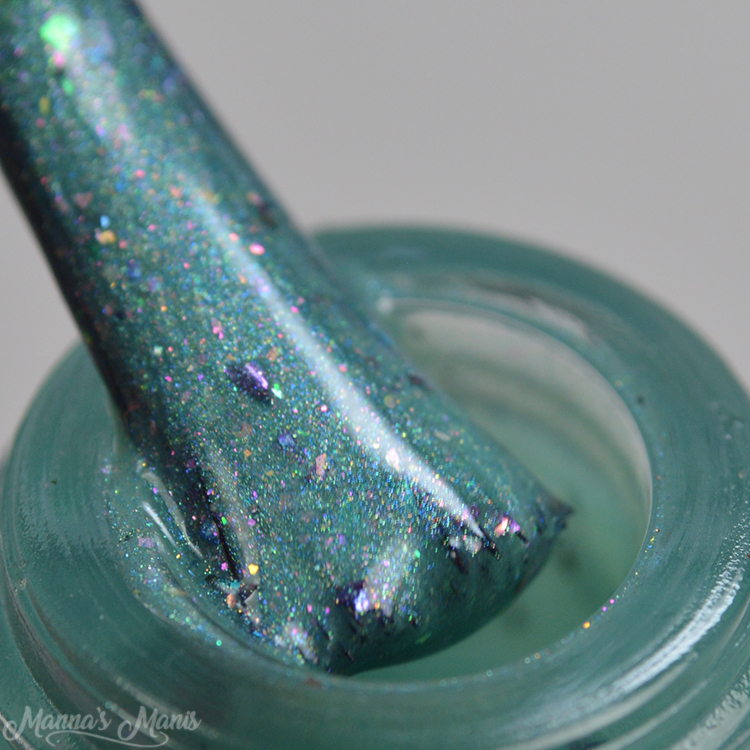 My swatches show 2 coats. Each duo will also contain this vinyl sticker! The Winchester California Lovin’ Indies duo will be available for pre-sale on October 1st at 8am pst and end on October 5th at 11:59 pm pst. Each duo will be $20 + $4 shipping and can be purchased HERE.